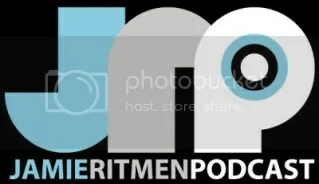 Podcast | Jamie Ritmen Podcast – Episode 14 | 25.03.11. Here we go people: “Tracks from Sc@r & Uplift, Chris Ross and Flyin’ & Sparky. Plus a great guest mix from Jack The Lad”. Lovely. * Al Storm vs. Orbit 1 – Twisty! This entry was posted in DJ Mixes, News, Podcasts and tagged Chris Ross, Evil Activities, Gisbo, Jack The Lad, Jamie Ritmen, Jamie Ritmen Podcast, Nosferatu, Sc@r, Uplift. Bookmark the permalink. Podcast | Kniteforce Revolution Podcast – Episode 29 | 29.03.11.